You are currently browsing the tag archive for the ‘Graham’s Number’ tag. and where a superscript on an up-arrow indicates how many arrows are there. In other words, G is calculated in 64 steps: the first step is to calculate g1 with four up-arrows between 3s; the second step is to calculate g2 with g1 up-arrows between 3s; the third step is to calculate g3 with g2 up-arrows between 3s; and so on, until finally calculating G = g64 with g63 up-arrows between 3s. So a number so big it can’t be fully processed by the human brain. 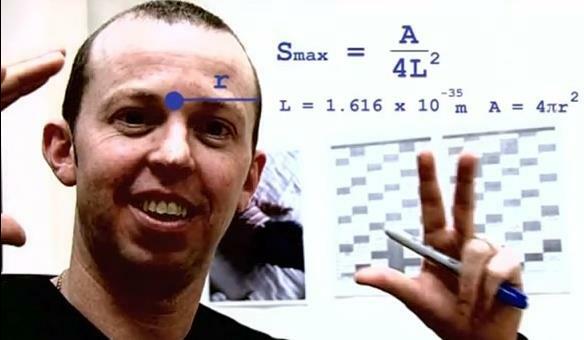 This raises some interesting questions about maths and knowledge – Graham’s Number is an example of a number that exists but is beyond full human comprehension – it therefore is an example of a upper bound of human knowledge. Therefore will there always be things in the Universe which are beyond full human understanding? Or can mathematics provide a shortcut to knowledge that would otherwise be inaccessible? How Are Prime Numbers Distributed? Twin Primes Conjecture – a discussion about the amazing world of prime numbers.